Thomas Quick was born on April 26, 1950, in Korsnas, Falun, Sweden with birth name Sture Ragnar Bergwall. He was known as Thomas Quick in/from 1993 to 2002/present and was once believed to be a serial killer. He had a personality disorder and was incarcerated in a mental institution. He confessed to killing over 30 people while in the institution and was convicted of eight of those murders. Thomas was released from the facility in 2008 after he withdrew his confessions. Thomas" conviction was known as one of the largest injustices in Swedish history because Thomas was convicted of the murders on weak evidence. Sture Ragnar Bergwall had six siblings, and they grew up in Korsnas, Sweden. Sture decided to adopt his mother"s maiden name, Quick, sometime in 1991 but he was sentenced for armed robbery not too long after in 1991. Sture was not a quiet boy as he was a delinquent who molested boys and stabbed a man. Thomas Quick was institutionalized in an institution for the criminally insane after his armed robbery arrest. He confessed to over thirty murders during his therapy sessions. He said that he killed his victims from 1964 to 1993 in Sweden, Norway, Denmark, and Finland. Police also interviewed him which lead to an 18-year-old murder case being solved. Thomas was convicted of the murders based on his confession during police interrogation while he was on benzodiazepines because there was no forensic evidence or eyewitnesses. Thomas did not give accurate details of the murders and gave answers based on the interrogator"s body language so that the interrogators can get the answers they were expecting. It was discovered that Sture/Thomas had used microfilm in the Royal Library, Stockholm to research unsolved murders. Thomas got back/prior copies of the story from Norwegian journalists so that he could give accurate details about the killings/crimes which lead the police to believe that he was the person they were looking for. Thomas was convicted ten years later of murdering then nine-year-old Therese Johannessen who had disappeared in 1988 from Fjell in Drammen and whose body was never found. Officials found burned bone fragments that belong to a child which was later revealed in 2012 to be fragments of wood and glue after laboratory tests were done in 2012. The bone fragments were not tested before the evidence was presented to the court. Thomas answers during his examination about birthmarks and weapon used during the crime were wrong. There was a lot of media attention regarding Thomas and the credibility of his confessions as many people think that he was a compulsive liar including police officers. 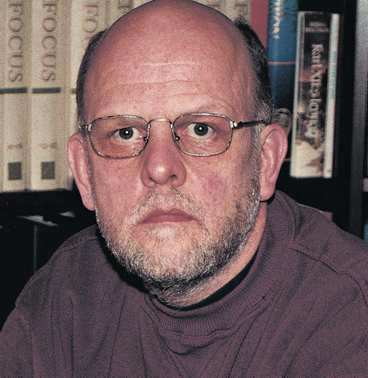 Thomas denied in December 2008 during a television interview with Hannes Rastam to committing any murders including the thirty murders he confessed to a few years prior. Thomas changed his lawyer resulting in his confessions to being basically thrown out in July 2013 because there was no evidence to prove that he committed any of the murders he once confessed to doing. Thomas Quick went back to using his birth name, Sture Bergwall around 2009 after he was released/set free from being institutionalized for over twenty years in a criminally insane institution. 1988, Rorshyttan: Yenon Levi - Thomas was sentenced in 1997 although there was no forensic evidence. His sentence was nullified in September 2010. 1985, Oslo: Gry Storvik - His sentence was canceled in September 2012 after there was no forensic evidence. Thomas Quick lawyer Claes Borgstrom was said to fail her job to protect Thomas because Thomas always had access to his police investigation before his trials and the prosecutor did not look at the reports. Thomas" new attorney won his case on the basis that Thomas made the confessions to the murders while he was under the influence of the prescribed drug, benzodiazepine. That testimony resulted in his eight murder convictions being dropped during six trials and six appeals. Thomas Quick was dismissed on July 30, 2013, for his last eight murder convictions. Sture Bergwall"s treatment plan remains confidential after he was released from Sater"s Institution for the Criminally Insane. It is assumed that he has not taken medications for several years and does not need any according to an uncensored release to the press. Thomas Quick serial killer is a male serial killer. Satermannen (The Sater Man) is a male serial killer. Thomas Quick is a male serial killer.